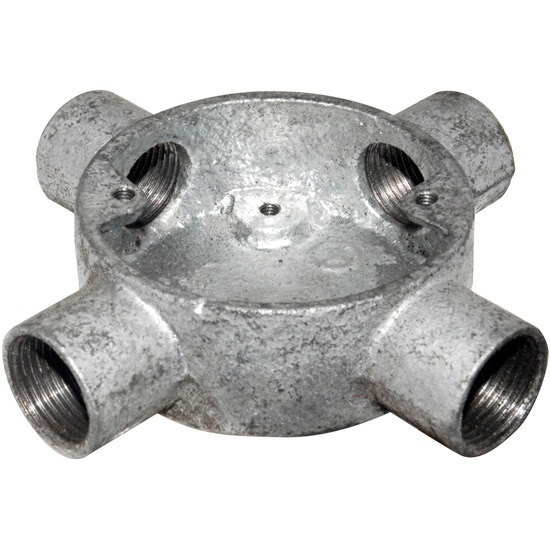 Galvanised Conduit Intersection Box, includes tapped hole for earthing screw. Available in sizes to suit 20mm and 25mm Conduit. Intersection boxes can join conduit lengths at 4 points allowing the fitter to install around accessories if required.